Dmae features the 20th annual JAW: A Playwrights Festival (short for Just Add Water) at Portland Center Stage at the Armory. The festival runs July 27-29. 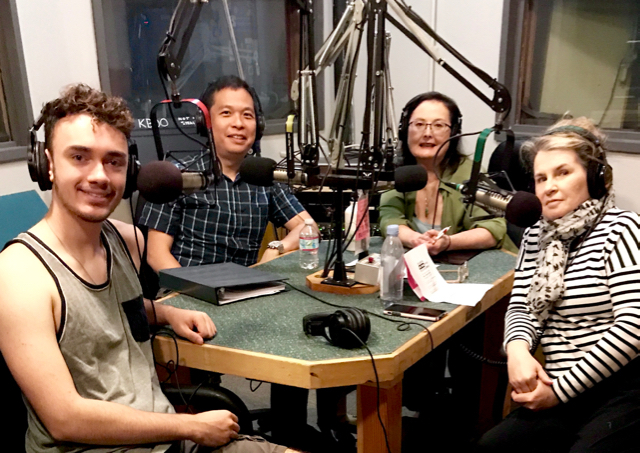 She’ll talk with festival director Rose Riordan and playwright Clarence Coo whose play The Birds of Empathy will receive a staged reading. We’ll also talk with Promising Playwright Michael Walsh about the work he and other teens are doing at JAW. About the play: Nathan is alone. His ex-boyfriend has gotten engaged, his mom has retired to Costa Rica, and his social life has devolved into a parade of unsatisfying encounters. But Nathan loves birds — watching them, discovering them, identifying with them. So when an unexpected visit from an estranged neighbor threatens to destroy his routine, Nathan has to confront a crucial question: Does he even need people when he’s got jays, sparrows and warblers? 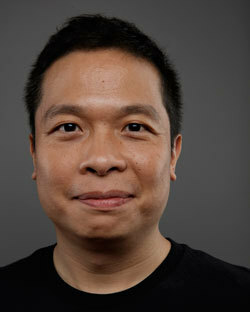 Clarence Coo is the recipient of a 2017 Whiting Award and the winner of the 2012 Yale Drama Series competition. His plays include Beautiful Province (Belle Province), People Sitting in Darkness and The God of Wine. 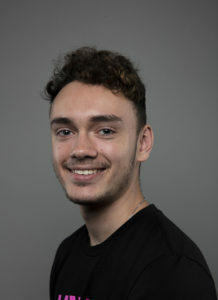 His work has been developed at Atlantic Theater Company, Oregon Shakespeare Festival, New York Theatre Workshop and Bay Area Playwrights Festival. He has received fellowships from The Dramatists Guild of America, Rita Goldberg Playwrights’ Workshop at The Lark, New York Foundation for the Arts and Playwrights Realm. He received his M.F.A. in playwriting at Columbia University. Michael Walsh is a Lincoln High School recent graduate and a Ruthmary Westfall Scholarship winner. He’s also a former Armory Teen Council member, and Summer Teen Intensives participant at Portland Center Stage. The 20th annual JAW: A Playwrights Festival will kick off with staged readings of new scripts from Portland-area high school playwrights. Come ready to celebrate and socialize. These 10-minute plays by Promising Playwrights are selected from our Visions & Voices Playwriting Program, a residency program offered to Portland-area high school playwrights. Rose Riordan, Festival Director, is in her 21st season at Portland Center Stage at The Armory, where she serves as associate artistic director and has previously directed Kodachrome, Every Brilliant Thing, Lauren Weedman Doesn’t Live Here Anymore, Wild and Reckless, The Oregon Trail, Our Town, The People’s Republic of Portland (2013 and 2015), Vanya and Sonia and Masha and Spike, The Typographer’s Dream, LIZZIE, A Small Fire, The Mountaintop, The Whipping Man, The North Plan, Red, One Flew Over the Cuckoo’s Nest, A Christmas Story, The 25th Annual Putnam County Spelling Bee, The Receptionist, A Christmas Carol, Frost/Nixon, How to Disappear Completely and Never Be Found, Doubt, The Underpants, The Pillowman and The Thugs, which won four Drammy Awards, including Best Ensemble and Best Director. Rose has recently directed, for various other theaters, Adam Bock’s Phaedra, The Passion Play, Telethon and The Receptionist. 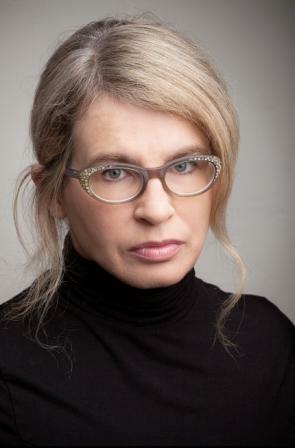 In 1999, she founded the annual JAW: A Playwrights Festival. 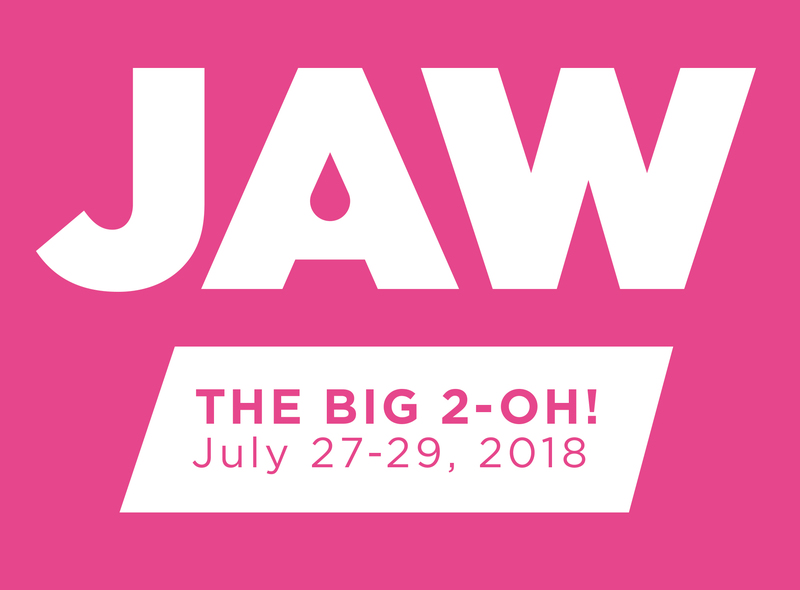 The JAW Big Weekend features public readings of the four new works selected by the JAW reading committee, presented at 4 p.m. and 8 p.m. on Saturday and Sunday, July 28 and 29. The festival opens Friday, July 27 at 8 p.m. with the work of this year’s Promising Playwrights. Surrounding the readings is the Press Play series, offering a slew of events and performances, and the Community Artist Labs, providing a chance to dig deeper into the theatrical process with members of the JAW company. JAW’ brings the work of four playwrights to Portland. Matthew Paul Olmos uses magical realism and visceral theatricality to explore how children are impacted by complicated adult fears in three girls never learnt the way home. Meghan Brown serves up power, complicity, pleasure, fear and food with her comedic play The Tasters. Emily Feldman challenges the way we hear women’s stories, using humor and arresting imagery in Pick a Color. And Clarence Coo presents an unusual preference to jays, sparrows and warblers over humans with The Birds of Empathy. Artists from across the nation conduct educational labs for our local community on a diversity of performance-related topics. Admission is FREE, but in order to maintain a high level of quality, attendance for each lab is limited and determined by lottery. To enter the lottery, email education@pcs.org with your preferred lab choice. In this workshop, we will work with material drawn from our personal experiences to begin new projects or to invigorate projects that are already in process. We’ll talk about different ways to harness your history, personality, and perspective in your plays and will do some exercises to help unlock some of the unexpected stories you might weave into your work. In-class exercises aimed at writing from a place that isn’t pre-planned, or thought-out. We will explore your voice when it is opened up to the unexpected and discuss how that writing can then be incorporated into projects you are already working on, or planning to work on. Moving from table work to staging can often be a tricky transition. In Table Work on Your Feet, Margot will lead participants through a series of physical exercises that explore the characters, relationships, and given circumstances around a specific text. Participants will be expected to read the short play beforehand as well as accompanying material. You will learn how to physically activate your table work, readying you to begin staging the play. Please come dressed ready to move! 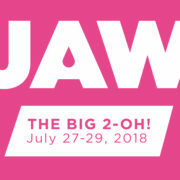 More about JAW: Since launching in 1999, JAW (short for Just Add Water) : A Playwrights Festival has created a space for playwrights to have complete creative control and the resources to work on whatever they want to develop in their scripts. This year marks JAW 20th year of producing staged readings of new plays and bringing artists to Portland. For two decades now, each summer has confirmed for us the vitality of this ever-changing, crazy fun, wild world of theater when JAW takes over The Armory. The festival welcomes a handful of playwrights, whose scripts are chosen from nearly 200 annual submissions, to spend two weeks collaborating with directors, dramaturgs, actors, and other theater professionals from across the nation. During these workshops, JAW playwrights get to hear, revise, and sometimes completely rewrite their plays in a supportive environment where their creative needs set the agenda. The festival culminates in a vibrant outpouring of artistic energy, as staged readings of the JAW plays are presented to the public. Adding to the festivities are unique performance pieces from local artists of all disciplines and special events. And the whole thing kicks off with an evening of work by the Promising Playwrights, high school students selected from our Visions & Voices program, who write and develop their own short plays alongside the professionals.